The Psychic Teachers are the creators of one of my favorite podcasts. When I heard them lamenting on their show that they couldn't get their facebook page up over 5,000 followers, I knew that I could help. I worked with them on a short-term contract to show them how to implement key content marketing strategies, like promoting high-quality content they had devoted so much and effort to produce, along with their products and particular brand of wisdom. I also created custom graphics to efficiently promote their products. 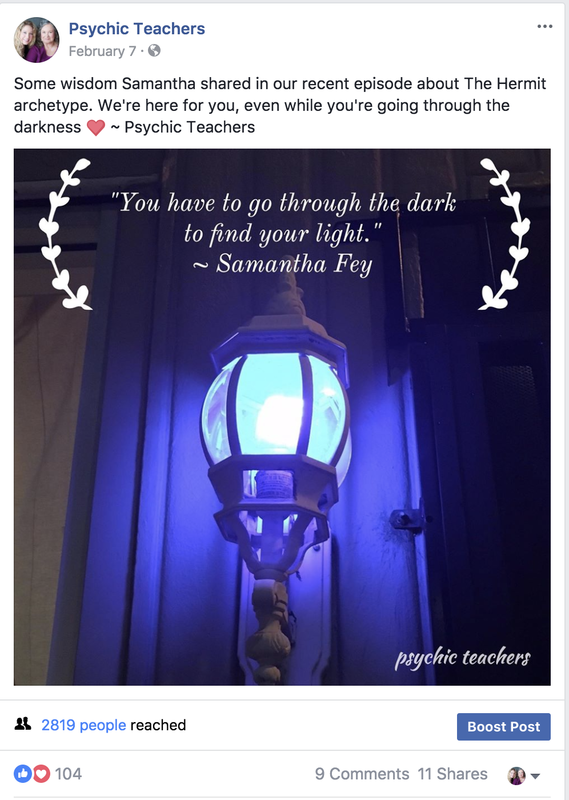 The work I did with the Psychic Teachers was really about helping them see themselves not just as two friends with a popular podcast, but as a brand with a product that was deeply soothing and sorely needed to the modern world.